AceStream Mac - How to install AceStream on your MAC 2018 Updated. AceStream is an innovative media platform for the new generation of viewers, which takes it user to a new high quality level of multimedia space on the internet. AceStreams are sports channels, which provides live video broadcast and the least amount of buffer. AceStream is designed to work on windows, so it is a problem when you try to run it on MAC OS. 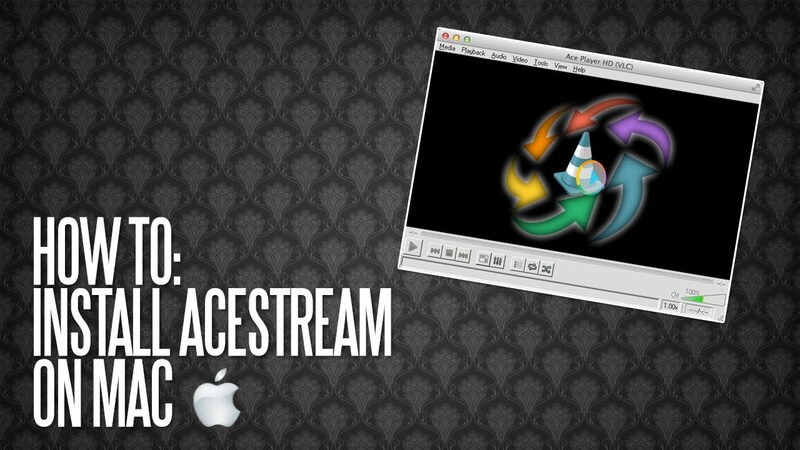 We will try to give you a thorough guide of how to install AceStream on mac. AceStream multimedia player is capable of capturing video from several different sources, synchronizing it with external audio and also of supporting subtitles. The user can even add logos or even watermarks and capture frames. It supports most of the audio and video formats which includes AVI, WAV, MKV and other without the need of installing codecs. To run it on MacOS, we need to install another software called SODA PLAYER, which is one of the best in the market right now. The developer team finally released a version of the application that supported AceStreams few months ago. They used the latest AceStream engines, not the one that comes with the famous KODI addon. Early test indicated that the casting is better/more stable than the official AceStream app, even on windows. Great application where finally AceStream on Mac + HEChromeCast was supported. It Works like a charm! The only other options for Mac users was super sketchy, which is not a favorite with users. Download and install Soda player as any other application on your MAC. A page will open with many alternatives to watch the match. You will have to select one of the AceStreams that is of interest to you. Right click on the AceStream button and copy the link address to the clipboard. OR you can even click on the utton and the link will be open in the tab. Then from the URL box of the browser, copy the link. Once the link has been copied, run the Soda Player application that you installed. The main screen shows an option “Open an AceStream link”. Click on it. Wait for the stream to buffer. When running it for the first time, it may ask for some addons to be downloaded. If so, download them which may take a few minutes. S, when you run it for the first time, it may take some time for the video to start. Once the downloads finish, the streaming will start. Kodi acts as a front-end interface for Acestream, which does the actual inept streaming. Using AceStream securely is essential for it involves peer-to-peer (P2P) services. Using Cyberghost VPN to use Acestream securely will help and one can use worldwide servers to unblock geo-locked content from different countries. AceStream on Mac OS will be successfully installed after all these efforts. 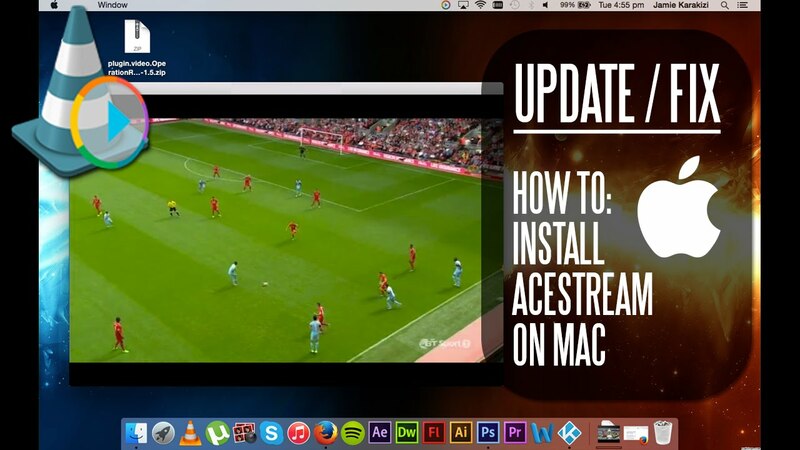 Hope this helps you install AceStream on Mac OS and get through one of the best software for free. In this post we learned how to install acestream media player on mac in a step by step tutorial guide. you can now enjoy watching your favorite sports and football shows on your Macintosh device using the acestream mac addon using the given steps. Although the acestream plugin was originally made for kodi but here we learnt how to use it one mac. hope the given steps worked for you and you could successfully use acestream on mac. If you have any queries feel free to leave a comment and i will get right back with you. Best IPTV Addons for Kodi Free and Paid – Best Guide!